This week, on the slow travel digest, I’m going to move slightly away from answering reader questions. Instead, I’ll just talk about something people probably wouldn’t think to ask. When you spend months at a time on the road, weird, local stuff tends to happen the way it does when you move places. It’s a pretty small sample size compared to your regular life. Travel usually means vacation, which frequently means splurging and luxury. And less “life happens” things take place in this context. Spend a lot of time traveling for work, or doing commuter travel, and the odds swing somewhat. But you’re still in something of a cocoon, even if you’re like me and have encountered both rental car flat tires (more than once) or hotel plumbing issues. Not so when you slow travel. But you don’t realize that at first. A little over 3 years ago, Amanda and I did our first slow travel stint. We left the banal midwest and went to a place in the woods in Southern Louisiana. As we unloaded the car in the dark, tromping through a bit of underbrush on this wooded property, I remember fleeting thoughts about the poisonous snakes they have — snakes that aren’t a thing in the midwest. 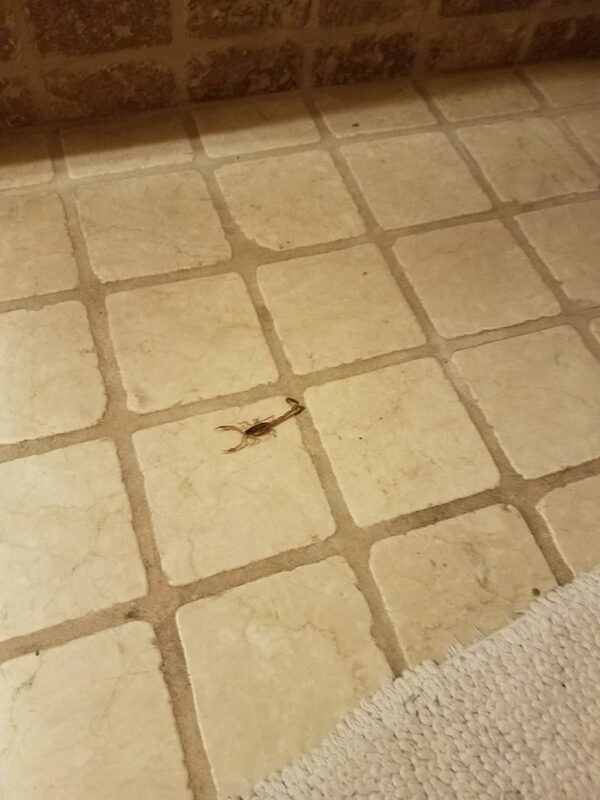 Is this something I need to worry about as I stomp around here? Turns out not. We unloaded our car with 0 snakes encountered and 0 alligator fatalities. And we didn’t see any of that sort of creature on day 2 or day 3, either. We went on hikes in forest preserves, poked all around our property, and went exploring without a care in the world. We were actually hoping to see some of these exotic creatures, albeit from a safe distance. But no, not really. Not without visiting a gator farm. The most exotic things we saw were crawfish holes. Slow traveling means that you’re moving places for small amounts of time, and you’re embracing the quirks of life there. And suddenly, you’re no longer in the travel cocoon. You’re an actual person living in an actual place, where actual wolf spiders and scorpions are things that locals (you now being one) have to learn to deal with. If you’re not living a slow travel life, you might go on AirBNB or VRBO or whatever, and light into a host the way you’d light into a hotel if a tarantula wandered in during your stay. But that’s not fair, anymore than it’d be fair for you to live somewhere for months without accidentally breaking something. You can expect a long weekend getaway to be local-pest free. But don’t expect that for multi-month stays, no matter where you are. A lot of our pictures are sunsets, national monuments, new cities, and good food. 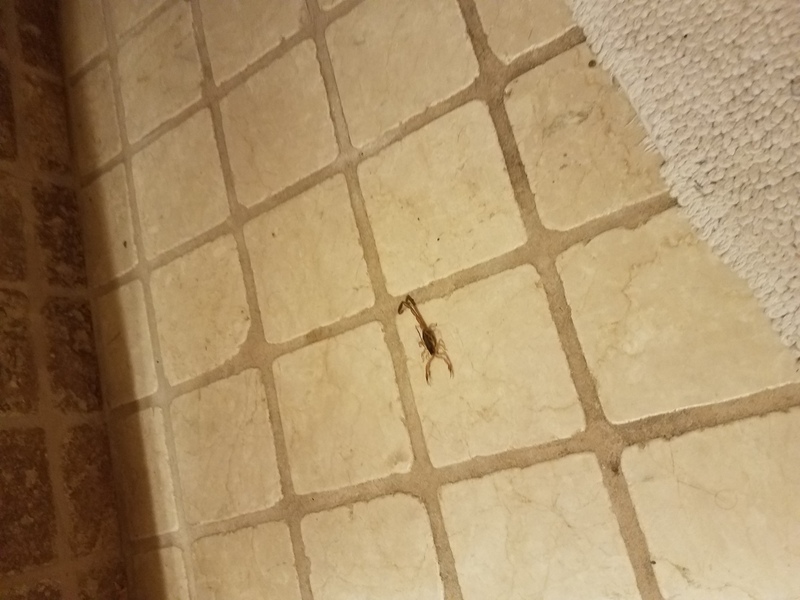 But sometimes they’re just pictures of a scorpion on the floor. Such is the vagabonder life. I don’t love the user experience, but I’m gradually coming around to appreciating Canva for, among other things, helping me generate graphical pull quotes when I fix up old blog posts. I’m pretty proud of Hit Subscribe’s new results page, which I think is fair game to pick, since I actually had nothing to do with creating it. In honor of a taco tour that we’re taking tomorrow in Austin, I’m going to throw a pick to the general taco scene in Austin, with a special nod to the ubiquitous breakfast taco. On a recently released episode of the Freelancers show, the other panelists and I talked about strategies for setting goals in 2019. And, here’s a Facebook Live that Amanda and I recorded, talking about what content marketing is. Finally, this floated across my radar via share the other day, but I’m not sure I ever saw it published. Here’s a piece I wrote for Sonatype last fall.